When it comes time to choose the right headphones for your classroom, do you have all the facts? Headphones help keep all students on the same level and encourage them to pay attention and interact with the teacher because they can hear every word. Whether it's young students at workstations or high school age students using headphones with tablets, headphones play a pivotal role in your lesson plan. When looking to outfit your classroom with headphones, consider what your specific needs are and if the headphones will meet those needs. The classroom is a noisy place on any day with the exchanging of ideas between teacher and student. Let headphones help keep the noise level at a minimum while keeping learning at a maximum. Having headphones in the classroom means enormous possibilities to enhance learning and focus. 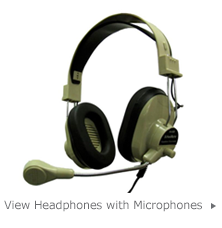 Headphones for story time allow you to have multiple stories being told to accommodate the range of reading comprehension that can exist in the classroom. Do you need quiet in your library or media center? There is no better way to accommodate use from modern day technology than a wide range of appropriate headphones. In today's classroom, there are often more than a few computers. It can be noisy and distracting to students to listen to audio speakers when there are multiple computers in the classroom. Headphones help the student focus on their assignments and not another student's assignment. As an educator, you know the importance of students' hearing. With the teacher-controlled volume settings, you can monitor volume and control which audio tracks students hear. Do you need headphones with microphones? What are your durability needs and concerns? Do you need teacher-controlled options or the ability for students to control their own volume? 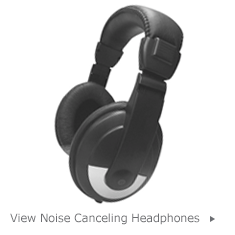 Will noise-canceling headphones work best for your environment or do you want to be heard with direction when the audio is playing? Safety is paramount in any educator's mind when supplying the classroom. You must consider the safety benefits you will need to accommodate your standards. When it comes to cleaning and hygiene do you need easily cleanable plastic earphones or anti-bacterial materials surrounding the ear and head? Make sure the fit and cord length of your headphones is complimentary to the type of classroom and student you are teaching. 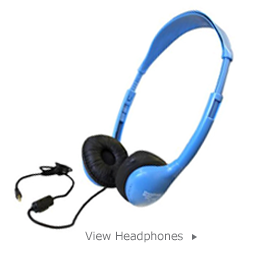 You don't necessarily want the same headphones for a 3rd grade classroom as 10th grade classroom. Headphones in the classroom are often a necessity so it's of the upmost importance to make sure they are the perfect fit for your environment. Make sure you take lesson plans, age, atmosphere, purpose and technological needs into consideration when making your choice. Headphones are the perfect accessories to your lesson plans. They make lesson plans more easily heard, they create quieter classrooms for better learning, and they help students focus. Consider adding headphones to your classroom or school today.